Arsenal boast plenty of attacking quality in their current squad, but Unai Emery could reportedly move for a player capable of offering a key different dynamic. The Gunners will look to Pierre-Emerick Aubameyang, Alexandre Lacazette, Mesut Ozil and Henrikh Mkhitaryan to provide the creativity and clinical edge needed in the final third. However, what Emery arguably lacks in that quartet is a player capable of playing out wide and offering width and pace, which in turn has led to speculation that he could target another attacking star. According to The Mirror, Arsenal are looking at former AC Milan ace and current Torino star M’Baye Niang, albeit it’s added via the paper edition of Tuttosport that Monaco, Marseille, Nice and Everton are also reportedly keen on the Senegal international. There’s no doubt that Niang possesses plenty of talent, but as seen during his spell with Milan, inconsistency and decision-making in dangerous situations continued to let him down and resulted in various loan exits before joining Torino permanently. He managed just four goals in 29 appearances last season, and while he’s still only 23 years of age, he has yet to entirely convince. What he does offer though is pace and a threat out wide, and as seen in glimpses with Senegal at the World Cup this summer, he can certainly be a problem for opposing defences with his movement in behind. 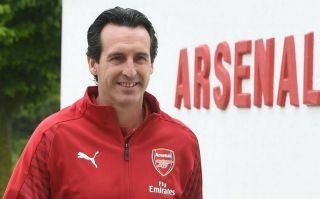 It remains to be seen whether or not Emery will launch a bid to prise him away from Italy, but having shored things up in defence with the signings of Stephan Lichtsteiner, Bernd Leno and Sokratis Papastathopoulos, all of whom have been officially unveiled by the club now, the Spanish tactician could afford to look further up the pitch for additional reinforcements this summer.